CLICK ON THE ADD TO CART BUTTON TO ORDER YOURS NOW! AN ESSENTIAL BABY GROOMING BRUSH SET: This natural baby brush and comb set has everything you will need to take care of your baby’s hair and scalp. Our baby brush is made from natural goat fur which is incredibly soft and provides unmatched comfort. The set includes a Natural Hair Brush, a Wooden Massage Brush, a Wooden Comb and Soft Silicone Brush to provide care for your baby’s head and scalp. THE BEST BIRTHDAY & BABY REGISTRY GIFT: It’s not easy to find a great gift for a baby’s birthday or baby shower is it? Fear not, our unisex Baby Brush Set is a great baby shower gift and or birthday present that’s both thoughtful and practical. Get this set for your own baby or as a gift for a baby shower and rest assured that this present will be loved. PREVENT & FIGHT CRADLE CAP: The Natural Goat Hair Bristle Brush helps to prevent cradle cap and conditions hair to prevent it building up. The BPA-FREE silicone brush can be used for moisturizing and detangling your baby’s hair. The Silicone Massage Brush lets you shampoo your baby’s scalp without causing any discomfort or tangling hair, and helps to remove cradle cap for a super cute and happy baby! SAFE ALL-NATURAL CARE: Soothe and massage your baby while increasing circulation, promoting a healthy head of hair and preventing cradle cap. Our cradle cap Soft Brush is made with 100% natural beech wood with goat bristles to ensure the comfort and safety to your baby. Each product in this 4 Piece Wooden Baby Hair Brush & Comb Set is BPA-FREE. This brush set is made to meet the high-quality standard every parent wants for their baby. 100% MONEY-BACK GUARANTEE: We stand by the quality of our product which is why we offer a 60-Day Full Refund Guarantee with each purchase, not that you’ll need it though. If you aren’t completely satisfied with our Baby Brush and Comb Set we’ll offer you your money back no questions asked! So order today with the confidence of knowing you’re making a 100% RISK-FREE INVESTMENT! If you’re looking for a safe and soft brush to keep your baby’s scalp clean and their hair groomed then you’ve found it! This set of 4 Baby Brushes has everything you need to groom and clean your baby’s hair while ensuring they stay comfortable and happy! The Wooden Baby Hair Brush & Comb Set contains a soft scalp brush for baby that has 100% natural goat’s hair bristles that is ultra-soft, along with a Baby Comb, which is just the right size for your baby! Throughout the first year of a baby’s life, they’re likely to be affected by cradle cap. It doesn’t cause any pain or irritation but rather appears as scaly patches or thick crusts! With the natural soft Goat Bristles Brush & BPA-FREE Silicone Baby Shampoo Brush you can effectively remove cradle cap and prevent build-up! 1 x 100% Goat Hair Soft Brush: Made from high quality solid beech wood and 100% natural ultra-soft goat hair, this baby brush is anti-static and hypoallergenic so that it will not cause any irritation and will help calm and soothe your baby’s scalp. 1 x Solid Beech Wood Massage Brush: This baby brush is the perfect way to prevent cradle cap, improve blood circulation and keep your toddlers scalp soft, while grooming its hair at the same time! 1 x Maple Wood Comb: Normal baby combs cause discomfort to babyies when used to untangle knots. This natural baby comb is easy on your baby’s skin and helps to untangle your toddler’s hair whilst stimulating the scalp for healthier hair. 1 x BPA-FREE Soft Silicone Brush: This safe and soft silicone brush is perfect for washing your baby’s hair and skin in the most soothing way possible! Our products are made from high quality materials to take care of all your baby’s needs. We pride ourselves on providing easy to use, safe products, with stylish designs which will leave you and your little tinker smiling. As parents ourselves, we know how important those early years are so we stand by the quality of our products, so you can buy with absolute confidence. Our products will make fantastic gifts for loved ones and we offer a 100% satisfaction guarantee - money back with no questions asked. 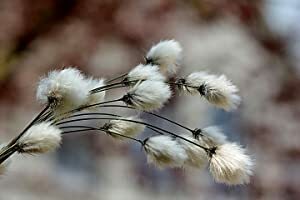 Cotton has a straightforward process that keeps its natural properties intact. 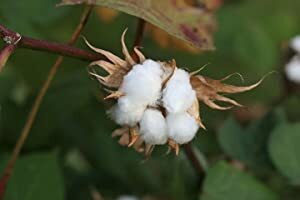 Renewable Resource - Cotton is a renewable resource making it kind to the environment. High Quality - Natural fibres are soft but strong making them durable with less warping than other fibers. Comfortable - Natural fibres are comfortable to the touch and stay softer for longer. Little Tinkers World is a family owned business committed to producing high quality products to help young ones and parents enjoy those special moments. As a family business and being parents ourselves we understand how important those early days are so we're committed to delivering easy to use, stylish products. We look to make the everyday tasks easier and fun. Each of our unique designs (Patent Pending) are designed and owned by Little Tinkers World for parents. Before you know it, your little baby will be grown up and out the door. That’s why you want to give them the very best; especially when they’re still small enough to jump into your arms. That’s why we created the Little Tinkers World product range - designed by parents for parents.